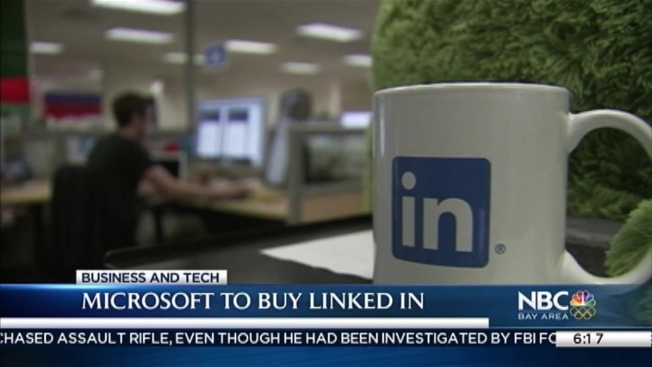 Microsoft says it is buying professional networking service site LinkedIn for about $26.2 billion. LinkedIn, based in Mountain View, California, has more than 430 million members. Users can network with professionals, upload their resumes and search for jobs on the site. Microsoft Corp. says it is paying $196 for each share of LinkedIn Corp., a 50 percent premium of the stock's closing price of $131.08 on Friday. LinkedIn shares soared 49 percent before the stock market opened Monday.